Bromsgrove School's Jasper Davidson has been called up by his national side. 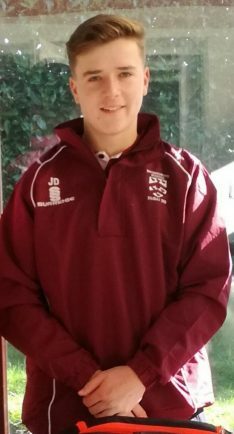 BROMSGROVE School pupil Jasper Davidson is set to take to the cricket international stage, after being selected for the Scotland’s U19 World Cup qualifying squad. At just 16 year of age, Davidson has already appeared for his nation, the cricket scholar averaging over 50 when batting despite having to battle through injuries which have hampered his involvement. He did, however, still manage to bowl a few overs during his last appearance for Scotland last year and will be hoping for an injury-free 2019 to fully stamp his mark on international cricket. In Scotland’s European Zone qualifying tournament in Holland see’s the winner appearing at the finals in South Africa over the course of January and February next year. The Scots will have big hopes that Davidson can deliver and set them on the path to glory.